Yeah, not very comforting, is it? Especially with the proliferation of sea lions (shark bait) lately. I try not to think about it when I'm out there. Yup. Wish I hadn't read that article. Really, really wish I hadn't. I also read that article and agree w/ Jess, wish I had not. I will just have to adjust my bay swimming months, no swims after August. 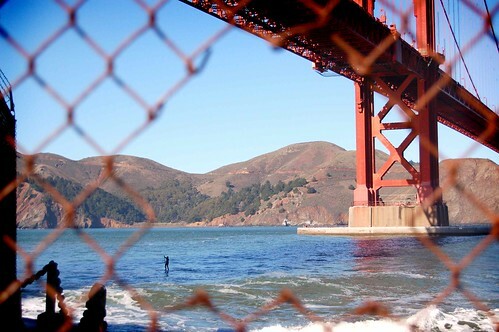 Good thing I've gotten my fill of Alcatraz swims because I'm NEVER SWIMMING IN THE BAY AGAIN. Yep. Saw that article just as I had started talking it up that I'm ready to get back in the Bay. Ummm, not so much.